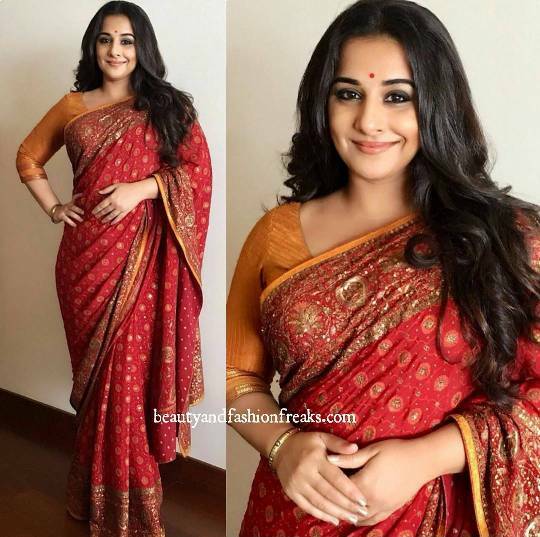 For the trailer launch of her upcoming movie “Tumari Sullu”, Vidya picked up a sari by designer Ritu Kumar. The actor completed her look with open hair and a small red round bindi. Overall this red sari with dark orange elbow length blouse looked fine on Miss Balan, nothing to dislike here!